I cannot explain how much I love this skirt. I found it while out thrifting one day, and it used to be floor length. But I cut it into a mini and I'm in love with it now. 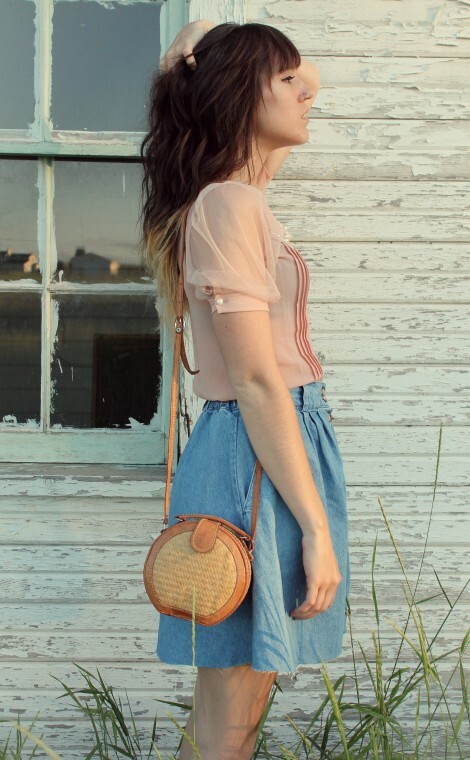 It's so versatile, and since it's jean it pretty much goes with everything. I've been loving the whole 'button-up skirt' thing lately and I'm happy to have found one myself. Added some new stuff to the shop too! Love this! 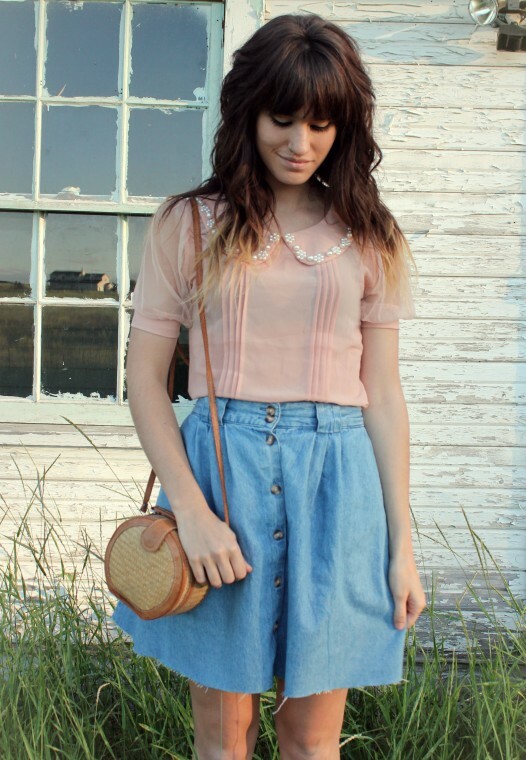 You've really inspired me to find an old jean skirt to customize. To the thrift shop I go.. In love with your shirt! I have a skirt just like that & I love it, too! 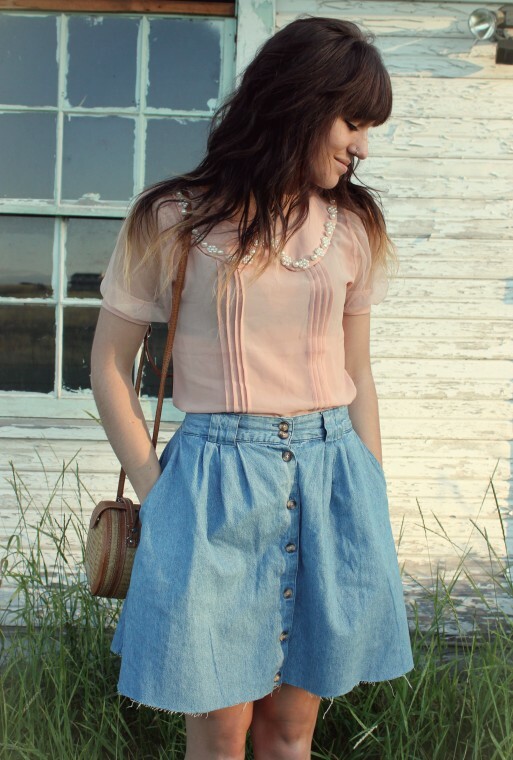 i adore jean skirts! especially ones that have buttons up the front so this is perfect! you're so pretty! I skirt is what I was fixated on in all the pictures! you always look so lovely ! 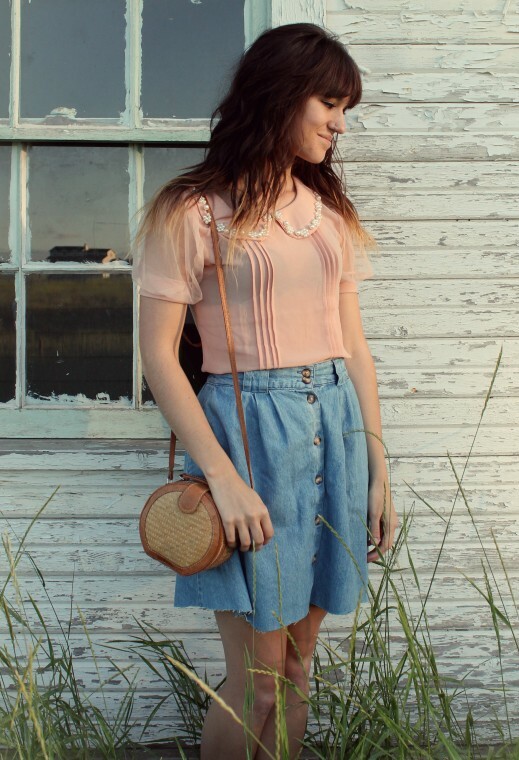 i love the little denim skirt! simple, easy & darling as always. What a great outfit! 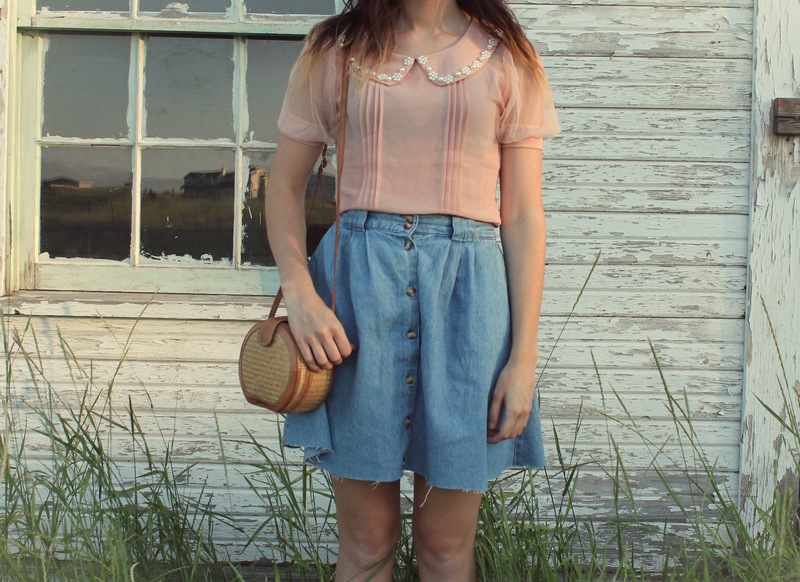 I need to start being more open minded at the thrift store because that skirt is way cute and I would have totally looked past it at full length. bravo!